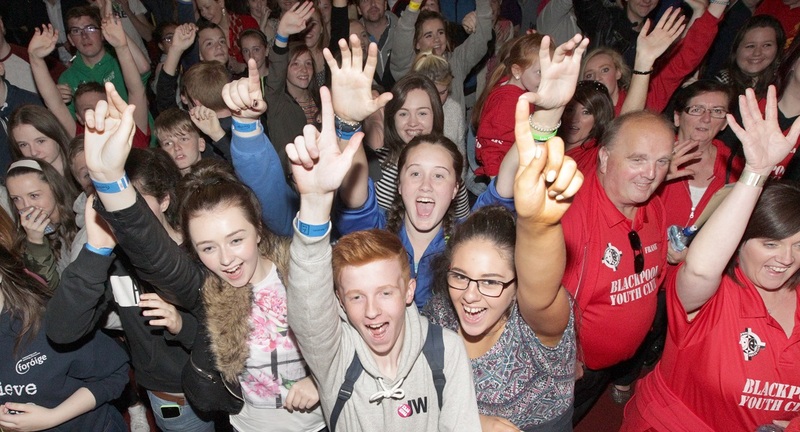 Foróige’s Leadership for Life Conference is held annually and is one of the highlights of the Foróige calendar. The conference involves 300 young people aged 15-18. There are three levels of participation at the conference. These are Module 1, Module 2 and Advanced Leadership. The conference, now in its 11th year will be held from Monday 29th July to Friday 2rd August 2019. The conference will be held at Maynooth University, Maynooth, Co. Kildare. Delegates will participate in the programme leadership workshops, hear from a variety of amazing guest speakers, have fun at the many evening activities such as teambuilding, novelty sports, quiz night, lip synch, talent night, gala dinner and entertainment etc. A fun filled and action packed week awaits. Previous guest speakers at the conference have included Joe Duffy, Pat Divilly, Joan Freeman, Dr. Joseph Roche, Kenneth Egan, Louise Phelan, Caroline Casey, Ian White, Emily Logan, Noeline Blackwell, Dylan Haskins, Dr. Lynne Holden, Jacqueline Murekatete, Joanne O’Riordan, Liam McKenna, Séan Gallagher and many others. These speakers tell their personal leadership journey, their challenges, their successes and will inspire the delegates to achieve their goals. The application process is now open for any Foróige members that would like to apply for a place on either of the Modules (1, 2 or Advanced). The deadline for receipt of applications is midnight Tuesday 7th of May 2019. Applications will be marked the next day, therefore late applications or nominations will not be accepted after the deadline. The cost to attend the conference is €280 which includes all meals, accommodation, materials & programme resources, evening activities, gala dinner and entertainment. Travel costs are not included. All information in relation to payment and the conference will be sent to successful applicants. All those applying for a place at the conference must be nominated by a Foróige staff person or volunteer that is happy to verify that the applicant fulfils the eligibility criteria. Nominations can be made using the Nomination form. Information and links to the application forms will be emailed to all staff and Foróige club volunteers. The information will also be available through Foróiges social media platforms. The Foróige Leadership for Life conference would not be possible without the great team of staff and volunteers that give their time and energy to ensure all of the delegates have as enjoyable a time as possible. If you would like to apply to be a volunteer at the conference please fill the Volunteer Application Form.